Although I haven’t been to Pune in a couple of years, when I used to go, I always made it a point to visit Hotel Shreyas and eat an authentic Marathi thali. 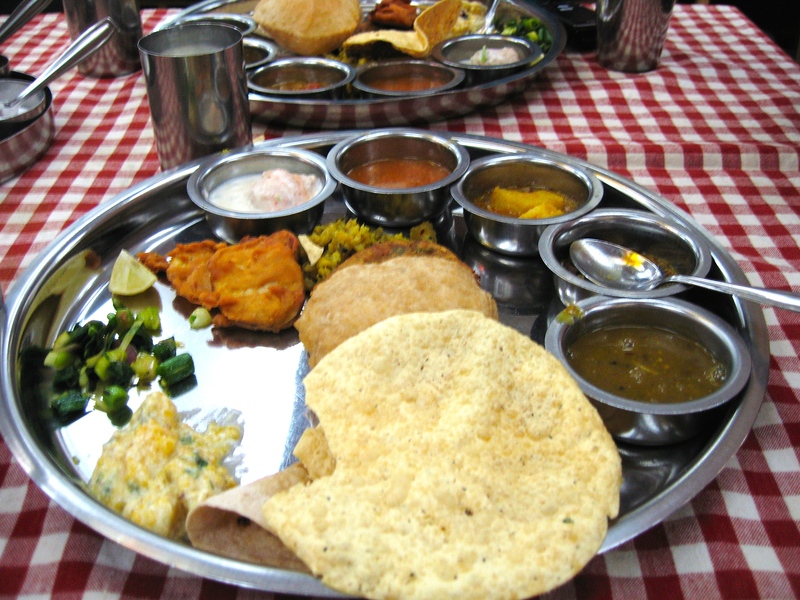 Every dish on the thali tastes wonderful and for me, this comes very close to the taste of home cooked food. This entry was posted in Marathi cuisine and tagged home food, Marathi cuisine, Pune, Thali. Bookmark the permalink.